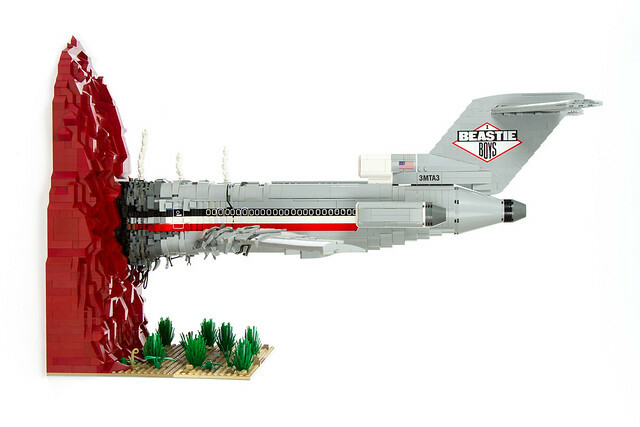 Spend any extended time with me and you'll hear three things: Me saying something stupid, but funny, the distinct sound of a rummaged LEGO bin and Beastie Boys playing in the background. I've been listening since 1986 (the year I graduated, sheesh) and have seen them in concert and owned every album. I cheered when they were inducted into the hall of fame and wept when we lost Yauch. 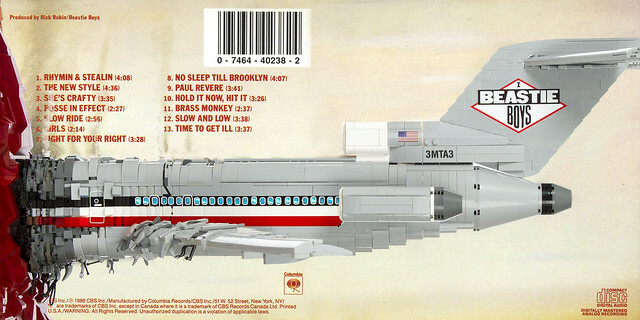 So you can imagine my reaction when I saw this absolutely perfect recreation of their first album cover by builder Brick Flag. The attention to detail is stunning, from the logo on the tail to the distinctive damage on the front, it's so good. Now if you'll excuse me, I think I need to get my Brass Monkey on.